To better understand the impacts of participatory design in English language arts teacher education, this critical case study focuses on the National Writing Project’s Connected Learning Massive, Open, Online Collaboration (CLMOOC) that engaged educators in playing with the connected learning framework. The authors draw from 5 years of interaction data to question “open” as a fixed point of reference in the design of participatory, online learning communities. Through three rounds of remix inquiry, the authors argue that open as a design ideology is necessary but not sufficient in providing conditions for transformative professional learning. The analysis reveals a subtle shift from facilitative practices such as inviting for diversified participation and affirming for reciprocal engagement intended to elicit fuller open participation to those such as coaching toward imperfection and curating relational infrastructures that are grounded in an infrastructuring strategy that is intentionally fragmentary and incomplete. The findings illustrate facilitative practices that engage educators in dynamic connection – making in online professional learning, and prompt the field to critically consider the fallacies of open learning design. West-Puckett, S., Smith, A., Cantrill, C. & Zamora, M. (2018). The Fallacies of Open: Participatory Design, Infrastructuring, and The Pursuit of Radical Possibility. 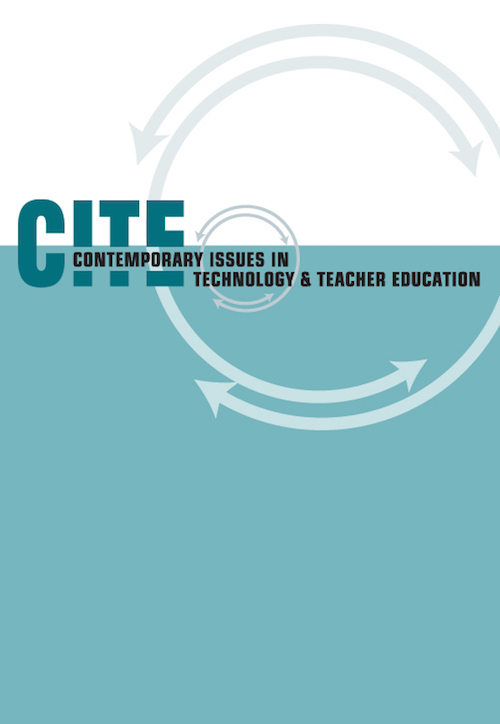 Contemporary Issues in Technology and Teacher Education, 18 (2), 203-232. Waynesville, NC USA: Society for Information Technology & Teacher Education. Retrieved April 24, 2019 from https://www.learntechlib.org/primary/p/180969/. Ahmed, S. (2014). Willful subjects. Durham, NC: Duke UP. Bali, M., Crawford, M., Jessen, R.L., Signorelli, P., & Zamora, M. (2015). What makes a cMOOC community endure? Multiple participant perspectives from diverse MOOCs. Educational Media International, 55(2), 100115. Chang, B. (2010). Culture as a tool: Facilitating knowledge construction in the context of a learning community. International Journal of Lifelong Education, 29(6), 705–722. Davis, K., Ambrose, A., & Orand, M. (2017). Identity and agency in school and afterschool settings: Investigating digital media’s supporting role. Digital Culture and Education, 9(1), 31-47. Davis, K., & Fullerton, S. (2016). Connected learning in and afterschool: Exploring technology’s role in the learning experiences of diverse high school students. The Information Society, 32(2), 98-116. Farman, J. (2012). Mobile interface theory: Embodied space and locative media. New York, NY: Routledge. Foote, C. (2013). Making space for makerspaces. Internet@ Schools, 20(4), 26. Fraiburg, S. (2010). Composition 2.0: Toward a multilingual and multimodal framework. College Composition and Communication 62(1), 100-126. Grabill, J.T. (2001). Community literacy programs and the politics of change. Albany, NY: SUNY Press. Green, K. (2014). Doing double Dutch methodology: Playing with the practice of participant observer. In D. Paris & M. Winn (Eds. ), Humanizing research: Decolonizing qualitative inquiry with youth and communities, (pp. 147-160). Gursakal, N., & Bozkurt, A. (2017). Identifying gatekeepers in online learning networks. World Journal on Educational Technology: Current Issues, 9(2), 7588. Ingold, T. (2015). The life of lines. London, UK: Routledge. Jenkins, H. (2006). Convergence culture: Where new and old media collide. New York, NY: New York University Press. Junk, R. & Muellert, N. (1981). Future workshops: How to create desirable futures. Hamburg, GER: Hoffman und Kampe. Lieberman, A., & Friedrich, L.D. (2010). How teachers become leaders: Learning from practice and research. Series on school reform. New York, NY: Teachers College Press. Lieberman, A., & Wood, D.R. (2003). Inside the National Writing Project: Connecting network learning and classroom teaching (Vol. 35). New York, NY: Teachers College Press. Livingstone, S. (2008). Taking risky opportunities in youthful content creation: Teenagers’ use of social networking sites for intimacy, privacy and self-expression. New Media& Society 10(3): 393–411. Losh, E. (2017). MOOCs and their afterlives: Experiments in scale and access in higher education. Chicago, IL: University of Chicago Press. Losh, E. & Jenkins, H. (2012). Can public education coexist with participatory culture? Knowledge Quest, 41(1) 16-21. Markham, A.N. (2013). Remix culture, remix methods: Reframing qualitative inquiry for social media contexts. In N. Denzin & M. Giardina (Eds. ), Global dimensions of qualitative inquiry (pp. 63-81). Walnut Creek, CA: Left Coast Press. Morton-Aiken, J. (2018). The compositionist as archivist: Why relational architecture archival practices matter outside the archives (unpublished manuscript). Roth, W-M. (2013). To event: Toward a post-constructivist of theorizing and researching the living curriculum as event*-in-the-making. Curriculum Inquiry, 43(3), 388-417. Sansing, C. (2014). Your summer of making and connecting. English Journal, 103(5), 81. Schmier, S. (2014). Popular culture in a digital media studies classroom. Literacy, 48(1), 39-46. Selber, S.A. (2004). Reimagining the functional side of computer literacy. College Composition and Communication, 55, 470–503. Shah, N. (2017). Putting the ‘C’ in MOOC: Of crises, critique, and criticality in higher education. In L. Losh (Ed. ), MOOCs and their afterlives: Experiments in scale and access in higher education. Chicago, IL: University of Chicago Press. Smith, A., Dillon, J., & Zamora, M. (2017). Connectivist massive open online courses. In K. Peppler (Ed. ), The SAGE encyclopedia of out-of-school learning (pp. 136-140). Thousand Oaks, CA: SAGE. Smith, A., West-Puckett, S., Cantrill, C., & Zamora, M. (2016). Remix as professional learning: Educators’ iterative literacy practice in CLMOOC. Education Sciences, 6(12), 1-19. Spinuzzi, C. (2005). The methodology of participatory design. Technical Communication, 52(2), 163-174. Stornaiuolo, A., & Hall, M. (2014). Tracing resonance. In G.B. Gudmundsdottir& K.B. Vasbø (Eds. ), Methodological challenges when exploring digital learning spaces in education (pp. 29-43). Boston, MA: Sense Publishers. Stornaiuolo, A., Smith, A., & Phillips, N.C. (2017). Developing a transliteracies framework for a connected world. Journal of Literacy Research, 49(1), 68-91. Thomas, D., & Brown, J.S. (2011). A new culture of learning: Cultivating the imagination for a world of constant change (Vol. 219). Lexington, KY: CreateSpace. West-Puckett, S.J. & Banks, W.P. (2014). Uncommon connections: How building a grass-roots curriculum helped reframe common core state standards for teachers and students in a high-need public high school. In R. McClure& J. Purdy (Eds. ), The next digital scholar: A fresh approach to common core state standards in research and writing (pp. 353-381). Medford, NJ: Information Today, Inc.
West-Puckett, S.J., Flinchbaugh, K., & Herrmann, M. (2015). Knotworking with the National Writing Project: A method for professionalizing contingent faculty. In L. Guglielmo & L.L. Gaillet (Eds. ), Contingent faculty publishing in community (pp. 35-55). London, UK: Palgrave Pivot. Wohlwend, K.E., Buchholz, B.A., & Medina, C. (2017). Playful literacies and practices of making in children’s imaginaries. In K. Mills, A. Stornaiuolo, A. Smith, & J.Z. Pandya (Eds. ), Handbook of writing, literacies and education in digital cultures (pp. 136-147). New York, NY: Routledge.